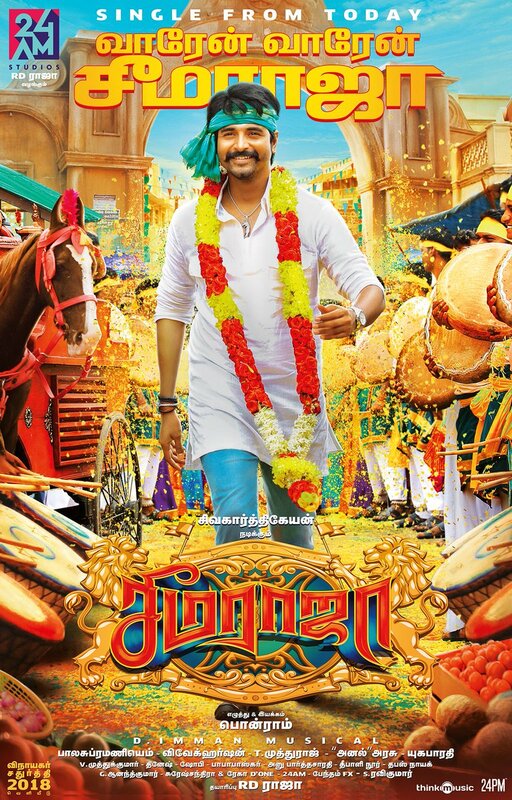 Sivakarthikeyan’s upcoming rural entertainer Seemaraja’s first single song met the internet couple of days ago and has become a big hit already. Full album is set to be launched at Madurai on 3rd August. Latest exciting news is that, composer Sean Roldan has lent his voice for a folkish melody in this D.Imman musical. We are about a week away from listening to a variety set of songs. Produced by 24 AM Studios, film will hit screens on 13th September. We can expect some super promotions before the release.